Governor Wolf? What Money Are You Spending in Johnstown? Governor Tom "Control Yourself" Wolf, avowed defender of the Commonwealth's antiquated booze monopoly, just announced in Johnstown on Friday that LifePoint Health Business Services would be getting $612,200 in state funding "in exchange for a pledge to create 132 new jobs over the next three years" in Johnstown. He traveled to Johnstown to make the announcement, where he also announced that Johnstown would be getting more than $15 million in "additional state investments" to "align" with "Vision 2025, a framework for revitalizing greater Johnstown. That's what he went to Johnstown for, and his office Tweeted about the news from Johnstown while the Governor was in Johnstown. Wait...state funds? For Johnstown? Aren't they already supposed to be getting millions from the Johnstown Flood Emergency Tax we're paying on every bottle bought at the State Store System? It's hundreds of millions of tax dollars, according to every State Store Supporter. So how come Governor Wolf wants to give them even more? every time I have a cocktail. Here's to Johnstown! Well...the wonks at the state department of Revenue will tell you that it was never called the ‘Johnstown flood tax,’ and that the tax was never directed specifically to Johnstown, but was always directed to the general fund. So there, and you're just stupid. Except that rings incredibly hollow when you look into the actual details of the origin of the tax, which I happen to have handy. The bill is titled "AN ACT Imposing an emergency State tax on liquor, as herein defined, sold by the Pennsylvania Liquor Control Board..."and it's dated June 9, 1936, a little less than three months after the flood (which affected other cities in Pennsylvania, as far away as Lock Haven and Williamsport). There was no other 'emergency' at the time, so calling it the "Johnstown Flood Emergency Tax" is perfectly honest, and the people at Revenue are tap-dancing. 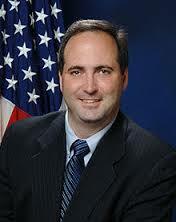 But they're dead right about one thing: whatever you call it, the tax was never meant to be only for Johnstown. It was just money, that went to the General Fund, for politicians to do with whatever they wanted. Nothing makes that more clear than the fact that they raised it, twice, 30 years after the flood was over. 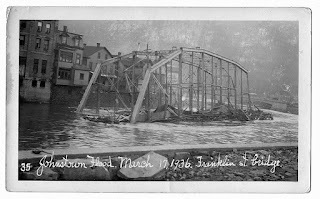 The Johnstown Flood Emergency Tax is one of the classic examples of a "temporary" tax that never ever goes away. And back in 1936, we were still so happy just to be able to buy booze legally again after Prohibition that the bluenoses were able to nail an additional 10% tax on at the drop of a hat...or some rain. We're still paying it, even though that emergency is long over; hell, the 1977 Johnstown emergency is long over too. It doesn't matter...Pennsylvania will keep that 18% burden on the back of booze buyers forever. You pay more than your fair share. Kind of rankles, don't it? Would privatization help this? No, the tax would still be in there. But we could take the opportunity to change it to a gallonage tax (which would make cheap booze more expensive, rather than the backwards way today's tax works), we could make it a more reasonable bite. That's the "Rewrite the Code" part. 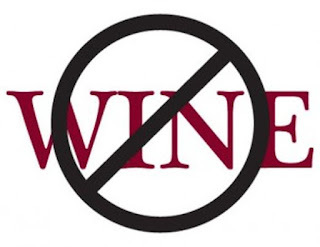 If you like wine or whiskey that's not the usual, like I do, and you live in Pennsylvania, like I do, you'll soon find out that the State Store System doesn't want to make life easy for you. Not only are the prices gouging and the service almost non-existent, a lot of times the bottle you want isn't even on the shelf. You have to order it, through a service that the PLCB calls, with a straight face, "SLO." That stands for "Special Liquor Order," and I think the person who thought it up must have been subversive. I salute them; it's genius. Having to order something's not that bad, though; even at private stores they don't carry everything. But where they really put the screws to you is with the minimum orders. Six is the most common, sometimes it's two (I've seen them list a "minimum order quantity of 1"), but you'll see twelve listed as well; I'm looking at a twelve minimum right now, Oban Little Bay single malt. One order. Please to make minimum. What kind of crap is that? Is this to keep our singleton consumer hands off so the restaurants can corner the market? Are they just being stupid? Again? Why do they put these ridiculous minimums in place? What follows is a paraphrase of three conversations I've had on the topic with people who either work for the PLCB, work for their suppliers, or politically support it. Apologists: No, no, you don't understand. It's not us! We don't put those minimums in place, it's the wholesaler! Me: But the PLCB is the wholesaler. The only one. No, no, the suppliers. We call them wholesalers sometimes. That's confusing, but that whole situation is confusing. So you're saying that the suppliers tell you that you have to sell these in lots of at least two, or six or twelve? You want this whiskey? 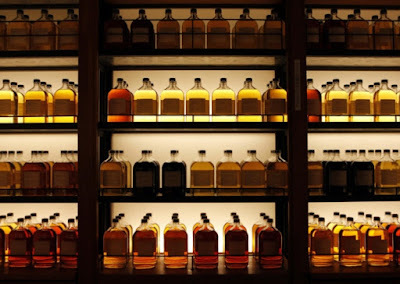 You must buy all this whiskeys! Is this another one of the great deals you got with your fantastic buying power? That you have to do in your own stores what the suppliers tell you? Just kidding... But if that's true, then why don't I have to buy a minimum like that when I buy at a private store, in any other state or country? They don't force me to buy at least two of something. Well, it's because of the stores out in Sullivan County, and Mifflin County, and [names eighteen other counties with only one or two stores]. If we have to ship to them only one bottle for a customer order, that's expensive and inconvenient, so we have the minimums. That kind of makes sense if you're shipping one bottle to Sullivan County's one store, but don't you say that rural selection will go down if sales are privatized? What kind of selection do you have if you have to buy twelve of a bottle that costs $85? You could get eleven friends to buy one. But then I'd be like that guy in Malvern the BLCE busted for reselling wine, wouldn't I? We didn't tell you to do that. Many bottles, so many! You must buy them all. Or buy NONE! Whatever. In any case, even if it does make sense for the far-flung stores, it doesn't make sense in the stores in Philly, and Pittsburgh, and the major suburbs where the store density is so much greater, does it? You're doing supply runs more often, to more stores, it would be easy to include small orders. We can't. Those are the rules, because it has to be the same for everyone. Wait...you told me it was because the suppliers said you had to do it. Yes, you did, not two minutes ago. Here's my promise for you, for 2016. I'm going to ask the PLCB these questions, the hard questions, the ones that make no sense, in writing, and keep asking them until I get solid, acceptable answers that make sense, in writing. We'll see how that goes. 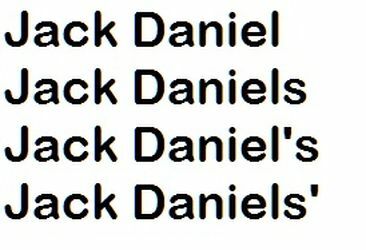 In a surprise move, what can only be called a New Year's Miracle, after over 80 years the Pennsylvania Liquor Control Board has almost learned how to spell Jack Daniel's across its entire inventory, and they almost know what kind of liquor Jack Daniel's is for every entry. I've written about the PLCB's lack of inventory skills pertaining to JD quite a few times. I even sent them an email listing every mistake they made, and over the past few years they have slowly fixed most of the mistakes. Why slowly? Who knows, it takes just as much effort to call up the database entry on one listing as it does on all listings of Jack. Then it is just a simple matter of seeing if all are spelled the same, and — just a reminder, because it is the PLCB — correctly. It's Jack Daniel's. I'm the PLCB. I order it, warehouse it, ship it, stock it, inventory it, and sell it. You expect me to know how to spell it too? I would think that having a correct inventory would be a fairly important thing, I know it is in my business, especially for my #1 selling item. However, this is the PLCB we are talking about and they don't seem to think so. 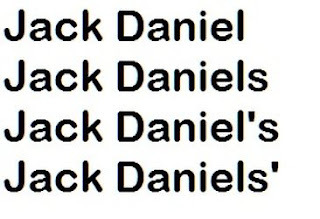 If I can ever get them to get all of the Jack Daniel's products spelled correctly I'll start working on getting them all classified correctly. They've had a problem with that for years too. There is no Jack Daniel's that is a blended whiskey as somebody in the PLCB thinks there is and has thought for well over a year now - just for an example. If I get that accomplished, I've still got years to go: they have hundreds of other mistakes I can use later. Just one of the many examples of why the PLCB will never be a business, never run like a business, and never satisfy the consumer like a business. It isn't just in inventory, it is in every facet of the organization. Inventory is just something that every citizen can see and track and laugh at their incompetence on a daily basis. They don't care what the community wants, as seen by examples in numerous communities, Lock Haven being a prime example. Or how about the YEAR it took to put in a new store in Mountaintop in the same shopping center as the old one. Or the fact that the PLCB can and does force a store into a dry community. They certainly don't care about convenience. Closing over 20% of the state stores proves that. They don't care about the consumer. Not having a single highly certified person selecting product for the entire state proves that. Not only don't they have a Sommelier in the PLCB to help select wines, they never have had one unless you counted a part time consultant (and she doesn't work for them anymore). Privatization fixes all of that, increases employment, allows entrepreneurs to come up with new and inventive products, sales and marketing. Provides what the consumer wants, because if they don't, there is always a competitor who will. Removes the unqualified from deciding what the ENTIRE STATE is allowed to buy, and increases convenience and selection. The PLCB can do none of these things. Painting a turd pastel colors, putting baskets around it and changing the name to "Excretion" does not change the way the turd got there to begin with. Such is the problem with the PLCB. Privatization is the REAL modernization. 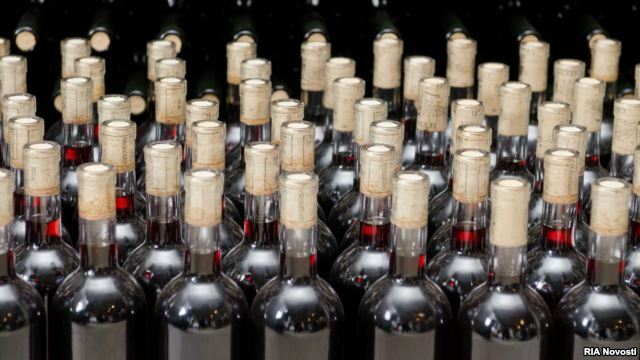 Seventeen states are considered "Liquor Control" states with only two, Pennsylvania and Utah, fully controlling wine and liquor sales from warehouse dock to retail counter. Pennsylvania is by far the largest system, mainly because of the wine monopoly, and because it has the largest population; not because the PLCB is doing anything special or inventive, or God forbid, efficient. In fact, even their peers in other control states say they aren't doing anything special or innovative. In December StateWays Magazine* gave out their first ever "Control States Best Practices Awards" and the winner of the "Best of the Best" was not the PLCB, It was the Virginia Department of Alcoholic Beverage Control. The winner for "Best Technological Innovation" wasn't Pennsylvania either even after the millions spent in cost overruns; it went to New Hampshire and Iowa. Iowa won for their web portal ordering system, which is sorta like the one that the PLCB is working on rolling out, only theirs is in place and working. Kind of like the way SEPTA keeps promising a farecard system (like the ones other transit systems have had for decades); maybe it's a Pennsylvania problem. The PLCB pretty much got smoked. They didn't win "Best Retail Innovation," that was Idaho who didn't spend over $4 million to come up with "TableLeaf" like PA did; or "Best Enforcement Program," which went to little Montgomery County, Maryland. Probably never having your state stores checked for underage compliance by the police had something to do with that one. The PLCB did tie for "Best Responsible Consumption Program" with North Carolina, but hasn't achieved the results that NC has so far. That could be because North Carolina spends a lot less on advertising and more on education than PA for their size. Want the best wines? Better figure on taking a trip. Do have the #1 Rose, but only SLO (minimum quantity 12) and priced 7% higher than the magazine lists. Do have the #2 Rose...in five of the 603 stores at only 9% higher than the magazine lists. Does have the #1 Merlot, but as SLO only (minimum quantity 12) at 71% higher ($50 ea) than the magazine price. Of course, the free market doesn't think PA is up to snuff either. The The American Wine Consumer Coalition ratings show PA ranked 47th with an "F" grade for Consumer Access To Wine, joining the large group of control states at the bottom of the ranking. All our border states rate higher, though, including the two bordering control states, Ohio and West Virginia. Who would have thought getting wine is easier in West Virginia? Simply, we deserve better, and to be clear: better is not more PLCB, or a different flavor of PLCB, or a "modernized" PLCB. Better is NO PLCB. Tell your legislators: full privatization, no half-measures. *StateWays is written for commissioners, board members, headquarters personnel, and retail store managers responsible for buying beverage alcohol in the control states, according to themselves. Run like a business? Really? We're told to look at the PLCB as a business, as one of the largest alcohol retailers in the world. Well, okay...then let's do that, by comparing the PLCB to one of the largest alcohol retailers in the world: Total Wine & More. Here's how Total Wine runs their business: Hire people to run your business who already have experience with large retail operations, ideally ones who have actually run businesses larger than you currently are so they can guide you toward growth. Hire people that already fit your business model, not ones you owe a favor to or who "contributed" to your cause. Find executives with experience in the product you sell or the sales model you use. Staff the stores with people that work toward company goals. Make sure there are enough qualified people on duty to cover store hours. Finally, provide a compelling reason for people to go to your stores and not the competition's. Here's how the PLCB does it: Fill your 'business' with political hacks who have no experience running any business even remotely close to the size of the PLCB, nor any firsthand knowledge of retail or wholesale liquor or wine. Mix with a "we don't care what you want" attitude and staff with people who are almost immune to being fired and get promoted based on time in grade, not product knowledge or performance. Stir in a large amount of "We've always done it this way," toss in a goodly amount of graft and nepotism, and you'll have something that resembles the PLCB. 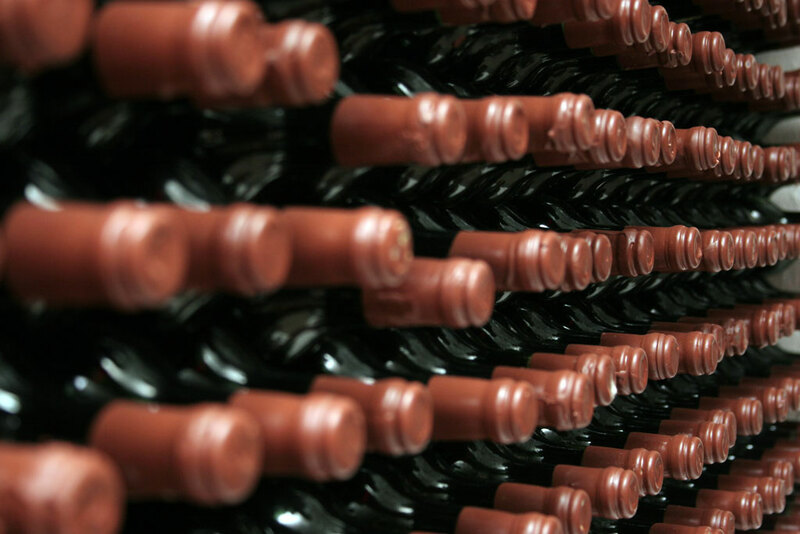 Drilling down, let's look at the comparative qualifications of the PLCB board chairman and Total Wine's chairman, and see how they stack up. Member Transportation and Infrastructure committee. "Congressman" is a pretty impressive entry on a resume, to be sure, but...Agriculture? Poultry? Transportation? Conservation? Where's the booze, Tim? For that matter, where's the retail? He does have a nice smile, which always helps in retail. Nice smile. This is a simply stunning business resume, based solidly in retail and consumer products; experience with the wine and beer industry. Bellamy is clearly a major player in worldwide retail. Those are pretty close — "congressman," after all — but I have to give the edge to Mr. Bellamy. This isn't a blast against Mr. Holden in particular. 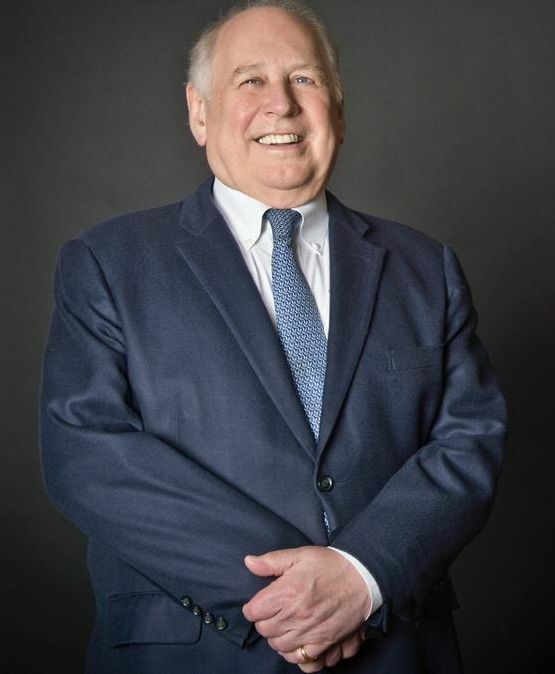 He's no more qualified than any of the other PLCB board members of the past 82 years, and just happens to be in that position now as I write this. I could do the same for the other Board Member Michael Negra (who does have significant business and retail experience, if not in booze) in comparison to the rest of the Total Wine Board, but you can follow the links and see for yourself. If this really is one of the top wine and spirits sellers in the world, you would expect it to be run by top management. It simply is not. We residents have been hearing the lip service about how the PLCB wants to run more like a business. One of the first things you do to move toward that goal is to hire people who know and understand the business you are in, something the State has consistently failed to do. 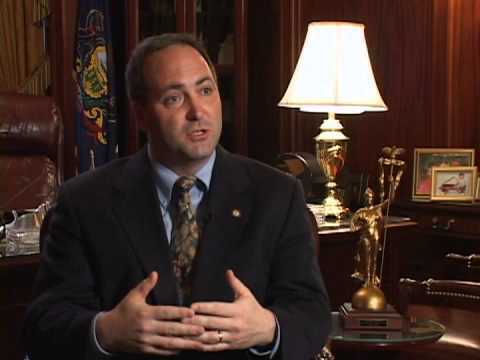 Given the newest PLCB Board member to be nominated, whose qualifications appear to be that he worked for Governor Wolf, gave money to Governor Wolf's campaign, and is a personal buddy to Governor Wolf, that pattern of willful failure will likely continue. Privatization allows entrepreneurs to use their vision, drive, and work ethic to grow their businesses. Monopoly does not. The choice is simple and has been made by everyone already. Private business is how you buy practically everything else (and it's how you buy wine and spirits as well, apparently, if you live within ten miles of the border). It works, if it didn't, we'd have state-run gas stations, grocery stores, pharmacies, and other retail. So here's to 2016, may it bring an end to outdated policies from the 1930's. We get closer every time, and as the PLCB supporters themselves admit: we only have to win once. Because we'll never go back. Three times in three years a reasonably effective liquor privatization bill passed the PA House (it also came close in 2014, but got sidetracked as GOP legislators scurried to distance themselves from Governor Corbett's sinking reelection ship). That's something that never happened before in the 80-odd years since the PLCB was established, despite decades of polls that consistently showed that was what Pennsylvanians wanted. But thanks to the solid support and unfailing energy of Representative Mike Turzai, the House Majority Leader and now Speaker, it finally happened, and it was historic. One of those bills also passed the Senate, but it was a sacrificial lamb, vetoed by Governor Tom "I Love Me Some PLCB" Wolf. But the other two were shot down in the Senate, practically single-handedly, by Senator Charles "Chuck" McIlhinney, the Republican who represents the 10th District in northern Bucks County...curiously, the same district that gave us Joe "Water Heater" Conti, better known to readers of the blog as Joe Da CEO, the former "CEO" of the PLCB who resigned three years ago while under investigation for ethics issues (an investigation that may still be going on under the eye of a federal grand jury). There must be something innately pro-PLCB about that area. 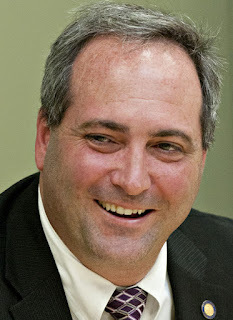 The first time the privatization bill passed the House, in 2013, McIlhinney held a press conference as soon as it happened -- in mid-March -- and announced that the Law & Justice Committee (his committee; he was and still is the majority chairman) would be holding hearings on liquor privatization. He had three months, and the hearings -- stacked with anti-privatization speakers, a circus of shouting and intimidation -- were shoved into the last part of that, after which McIlhinney held everything up on his committee until he presented his version of the bill. Then I simply took the House language and burned it. With fire. In a legislative move known as "gut and replace," McIlhinney replaced the House's bill in its entirety with his own scheme, a mishmash of State Store clerks' union-proposed "modernization" measures (that are blatantly anti-consumer), beer distributor pipe dreams, and his own plan for selling wine by the bottle (but only four bottles at a time) at taverns and restaurants, a plan no one asked for and no one wanted. The committee got that a week before the session was over. It never even came to a vote. The second time, in 2015, the House passed another privatization bill. Knowing that Governor Tom "Look For The Union Label" Wolf would veto a solid liquor privatization bill in the first pass -- he'd said so, promised it -- McIlhinney waved it through, the Senate passed it, and sure enough: Wolf vetoed it, along with the proposed budget. Go ahead. Ask me "Why?" again. I love that. McIlhinney, you've done it again. Which leads us to ask...why? As in Why does McIlhinney so doggedly and effectively thwart privatization efforts? He's a Republican, isn't he? Aren't they supposedly the party of business, of smaller government? Well...maybe. But there's pro-business, and then there's pro particular businesses; like this. And then there's the personal politics of the whole thing, like this. (It's worth noting that some pundits tag the beer magnate noted in those links, Pasquale "Pat" Deon," as the reason we didn't see a privatization bill pass the House in 2012). And then there's this winking tidbit about Pennsylvania politics: Unions buy Democrats; they rent Republicans. 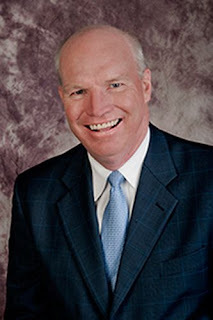 But another why is this one: Why does the state Republican party continue to put up with McIlhinney's shenanigans on this issue, and indeed, why is he in the one spot, the chairmanship of Law & Justice, where he can effectively, single-handedly, block privatization? Is it true what the unions have consistently said, what the Democrats have consistently said? That the state GOP doesn't really want privatization, that it's too good an issue to run on, to get donations with, and to pass it would kill that cash source? The thing is, for that to be true, it would all hinge on...Chuck McIlhinney.